If my memory serves me correctly I think my first ever A380 flight was back in 2008 with Singapore Airlines flying from Hong Kong to Sydney. I remember seeing this gigantic aircraft, 49% bigger than the next biggest Boeing 747-8, and the queues to board the plane was so long since it fitted so many. 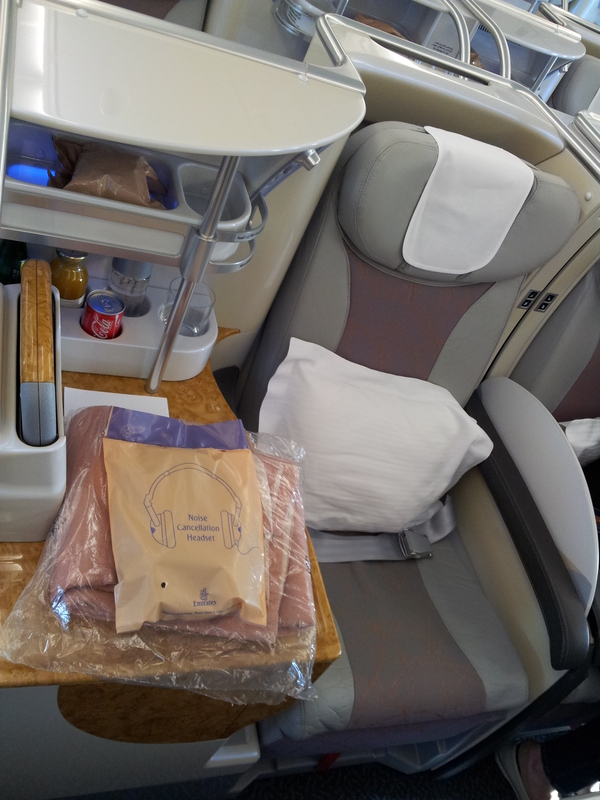 Years later after climbing a bit further up the corporate ladder and setting up our own small business, business class is now our preferred class of travel for long-haul flights as a reward and motivator for working smart. 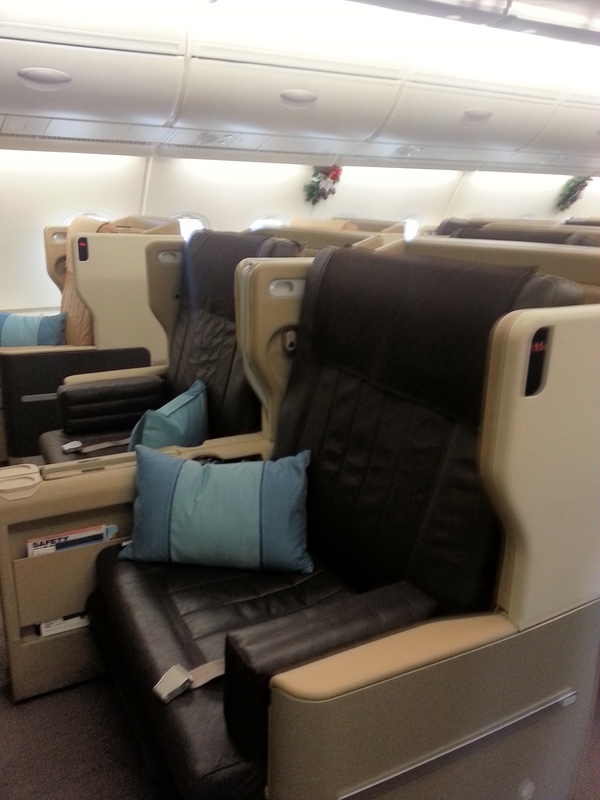 Unfortunately business class on Singapore Airlines’ A380 really disappointed. Being the first airline to run commercial flights on the A380 you can really tell the aging signs. Unfortunately for us they had problems with the ancillary power which meant we were stuck on the plane with no airconditioning for over two hours and no entertainment for the full 8 hours flight. Yes the seat itself was much wider than competitors’ but the manual transformation into a flat bed was cumbersome. Possibly because we’d come to have a certain level of expectation of Singapore Airlines, it really failed to deliver. 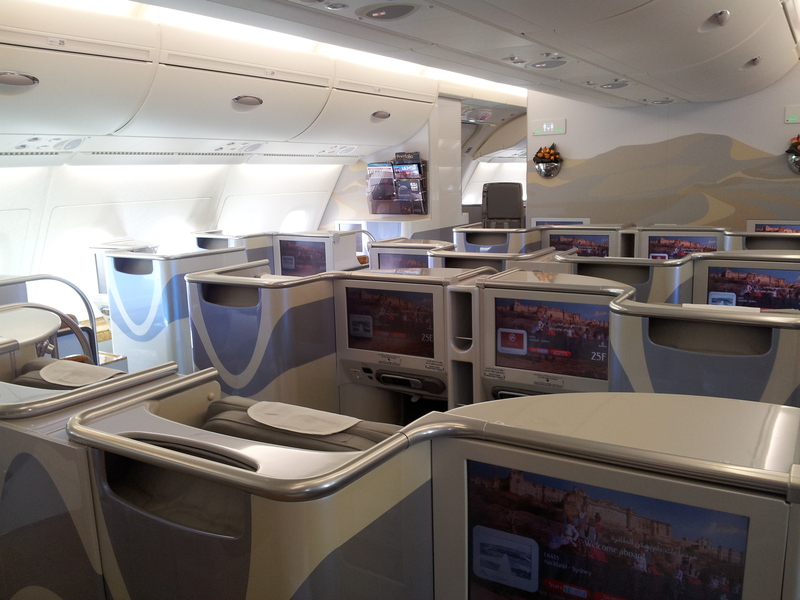 Hopefully Singapore Airlines can redeem itself with the newly unveiled cabin designs. 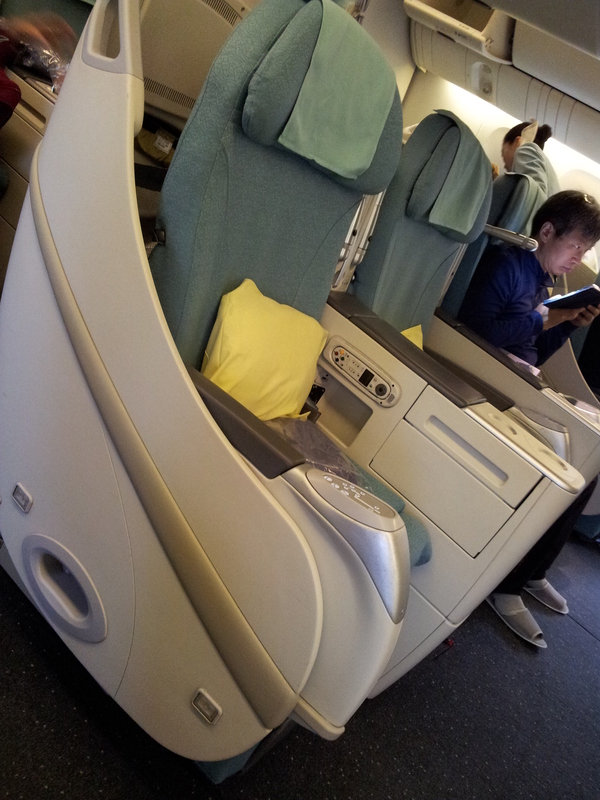 In comparison while the Sleeper seat on Korean Air isn’t as wide as Singapore’s the overall experience was much more positive. The Celestial Bar, a hotel like lounge 30,000ft above ground, located at the back of the upper deck has a fantastic atmosphere. 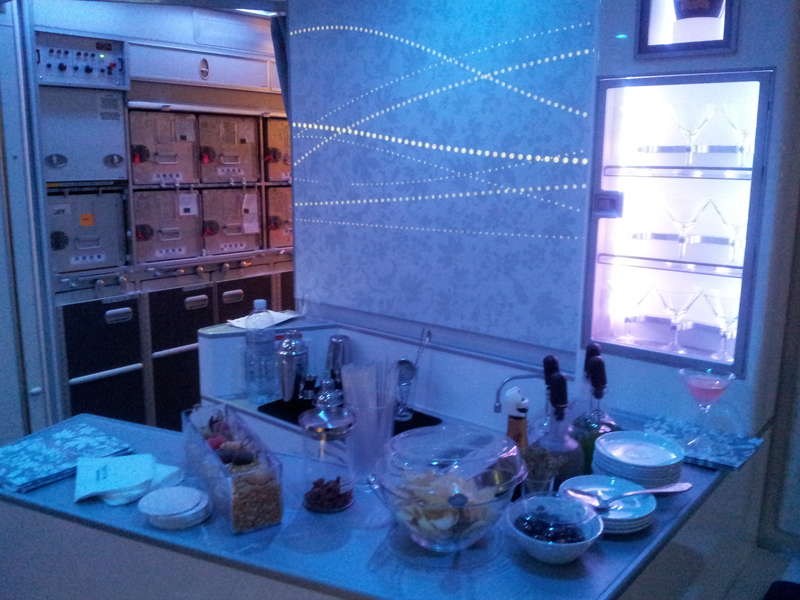 It’s a fantastic place to mingle with other passengers and crew over specially made cocktails to breeze through long-haul flights. 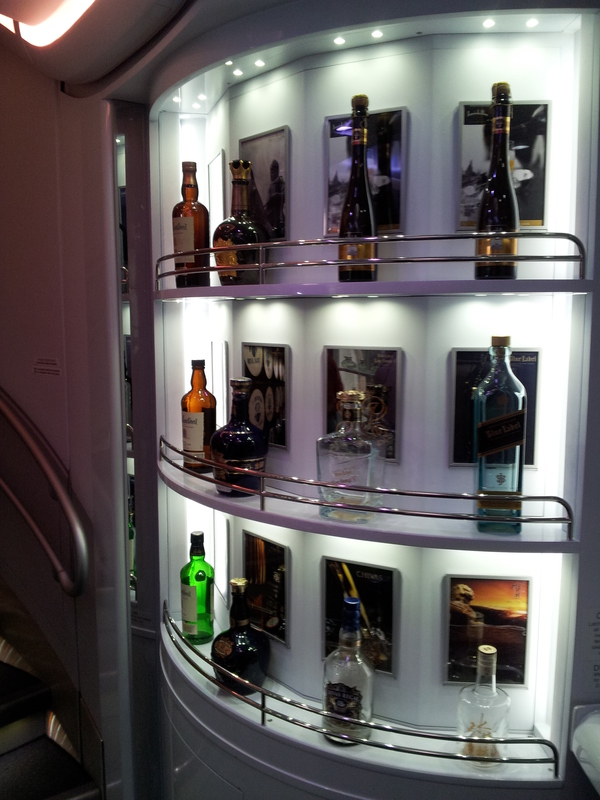 There’s also a self-service bar at the front of the upper deck where passengers can prepare their own drinks, sit back and relax. What’s more, if you’re bored there’s a Duty Free shop at the back of the lower deck showcasing over 60 products covering cosmetics, alcoholic drinks, perfumes, and accessories. 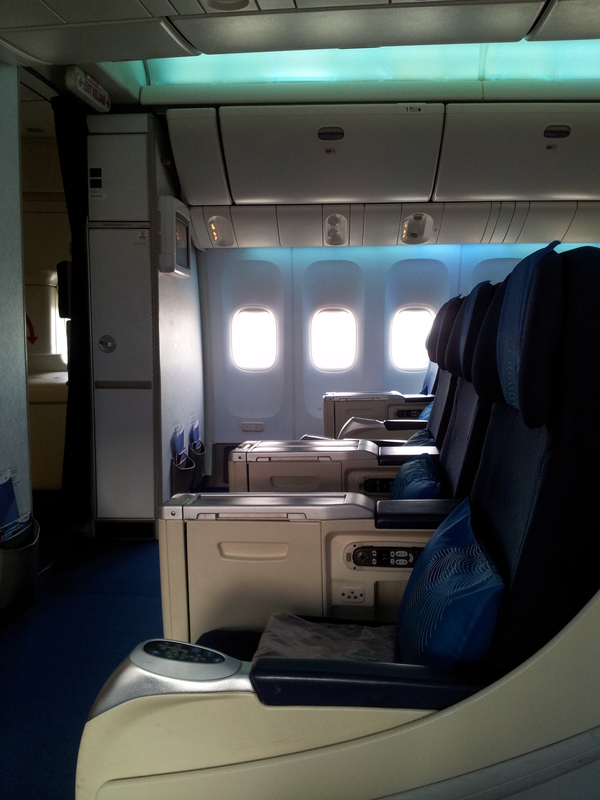 All this and top notch service, we certainly won’t hesitate to fly Korean Air again. 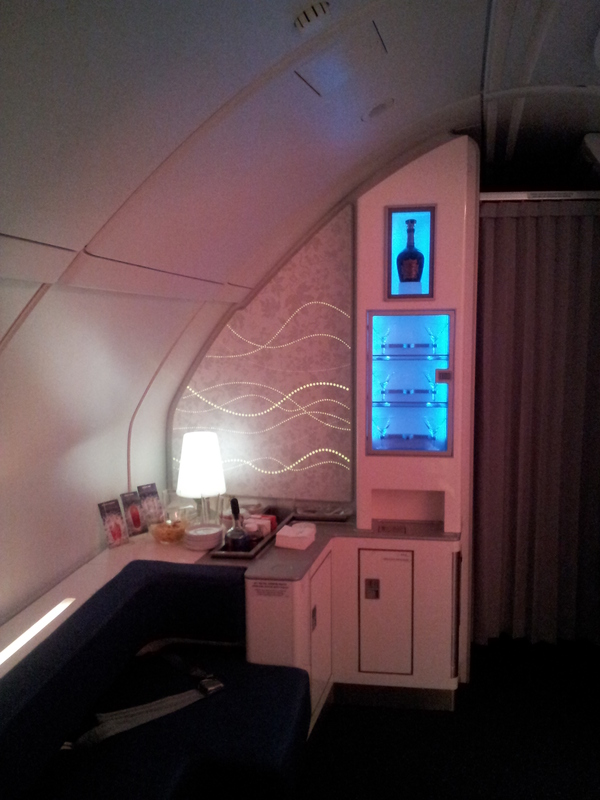 I reckon Emirates offers one of the best A380 Business Class cabins with a spacious lie-flat seat that comes with a personal mini-bar. The 1-2-1 configuration is ideal for those travelling alone or as a coupe. 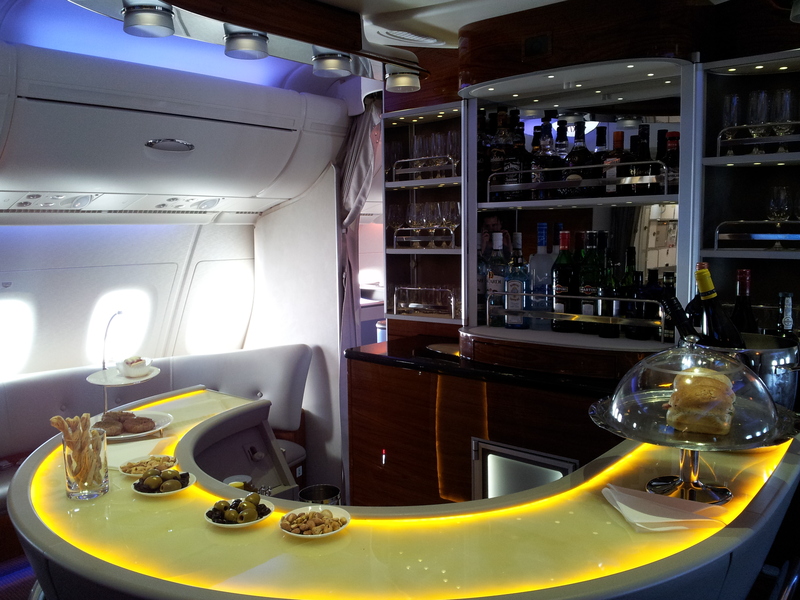 A perfect mid-flight diversion, located on the upper deck, the Emirates A380 lounge offers five-star delicacies and a wide selection of beverages. One of the highlights for the Emirates A380 has to be the Shower Spa though it’s reserved for First Class passengers only. 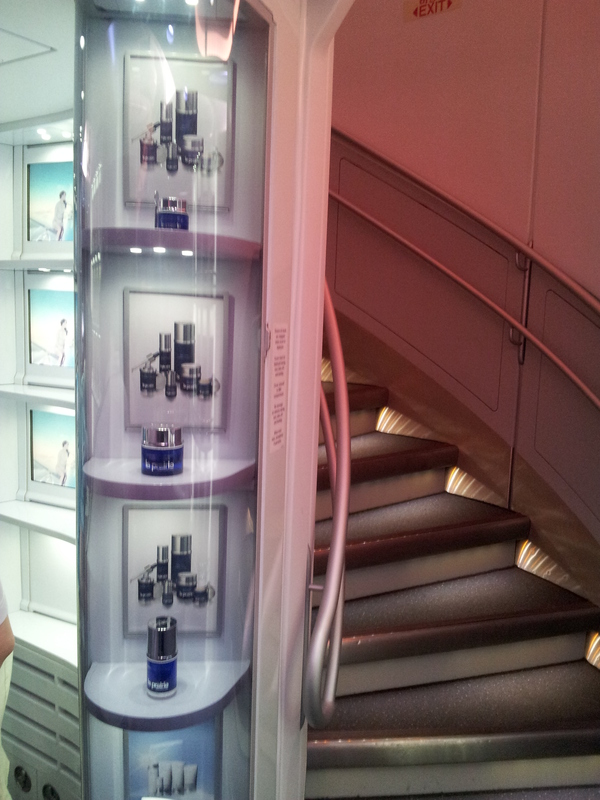 A shower 30,000 ft in the air before landing at your destination feeling refreshed is a pretty enticing proposition. Whilst Malaysia Airline isn’t known for the latest aircrafts, its award winning cabin staff and signature satay is definitely worth a mention. Can’t wait to test out Malaysia Airlines’ A380 in a few months!